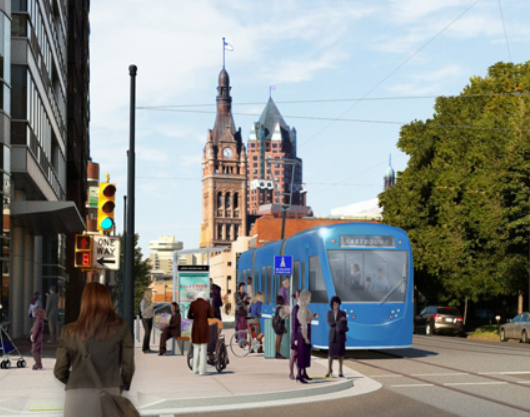 Last month, the Milwaukee Common Council approved a plan to build a new electric streetcar system in Milwaukee. About half the estimated $124 million cost will come from U.S. federal grants. Construction of the system will start late this year, and the system is expected to be operational by 2018. By that time, it will have been 60 years since streetcars last ran on the streets of Milwaukee. The city’s first streetcar system was created in 1860 and was horse-drawn. The first line was established by Col. George Walker (founder of Walker’s Point) and ran from the Walker’s Point bridge up Water Street and then Prospect Avenue to St. Mary’s Hospital. 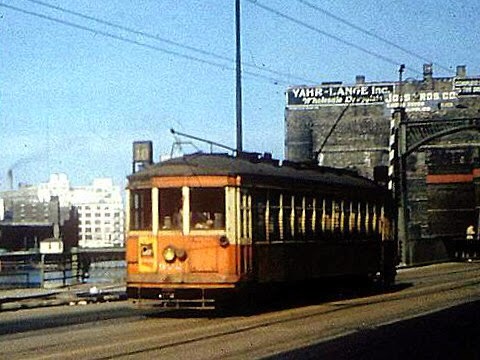 The first electric streetcars entered service in 1890, and the last stopped running in 1958. The starter route for the new streetcars will be almost entirely within Talossa, connecting high-density areas and major attractions in Fiova, Maricopa, and Maritiimi-Maxhestic. A short spur will run across the River to the Milwaukee Intermodal Station, providing access to Amtrak and long-distance bus lines such as Greyhound. If the starter route proves successful, the first expansions will likely be a line running north from the Milwaukee Intermodal Station to the Riverwest neighborhood of Transmanawegan Milwaukee, and a loop running along Prospect and Farwell Avenues to connect the original downtown route to Florencia, Benito, and Vuode. Further extensions could run through Atatürk to cover the University of Talossa (University of Wisconsin-Milwaukee) campus and up into Shorewood, down through Fiova’s Historic Third Ward neighborhood to Walker’s Point and South Milwaukee, and west to Marquette University. The cestour population appears to be greatly interested. As Journal-Sentinel columnist Jim Stingle put it: “Our desire is named streetcar, and we crave, in the words of the official streetcar website, ‘attractive short-trip urban circulation’…. Look, the Jetsons promised we’d have jetpacks by now. In the meantime, the streetcar will help us travel in early 20th century style."